London's a foodie city, no doubt about it. There are delicious fusions, imports and experimentations galore. But among the bubble waffles, avocado ice creams and Japa-zilian cuisine (we're looking at you, Sushi Samba), there are many restaurants still keeping the much-loved classics front and centre. So when you've got a hankering for lasagne, Lady Luck is on your side. Hearty, warming and oh-so-flexible, the humble lasagne is comfort food at its finest and there are no shortage of restaurants in London doing this baked Italian dish justice. The lunchtime street food market on Whitecross Street may be hard to resist, but halfway down the road, a treat awaits: Cozzo Caffe e Pizzeria. Here you'll find fresh-as-you-like ingredients teamed with proper Italian hospitality. Friendly and attentive, the staff treat all diners like family, and no Italian family meal is complete without a cracking lasagne. Cozzo's is a classic bolognese done right, and coming in under £10 makes it that little bit extra delicious. Cozzo, 177 Whitecross Street, EC1Y 8QP. 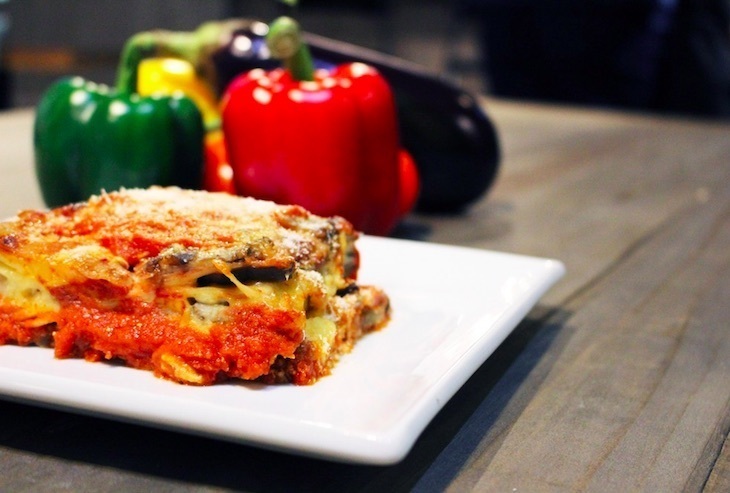 You'll find up to 21 different types of lasagne at Mister Lasagna. 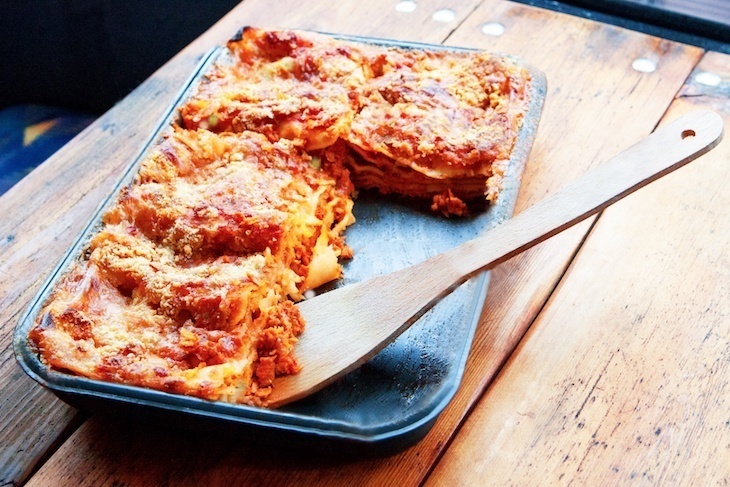 It claims to make the best lasagne in London, and it's not far off. Mister Lasagna was borne out of founder Alessandro Limone's love for native Italian food and memories of his grandmother's traditional lasagne. The result? Alessandro has created a full-blown lasagneria that serves no less than 21 different types of the dish from behind the counter. Truffle lasagne, pumpkin lasagne, chicken and chorizo lasagne, the list goes on. It's a veritable lasagne revolution and with flavours this good, we are all in favour. Perfect for a quick lunch. Mister Lasagna has locations in Soho, Piccadilly, Belgravia and Victoria. For a curveball lasagne, a visit to the achingly hip StreetXO is in order. This fusion restaurant brings together dishes with European (particularly Mediterranean), South American and East Asian influences, and eating here is a real experience. The Korean lasagne blends Galician beef with spicy Gochujang tomato sauce and cardamom-infused béchamel. It's probably unlike any lasagne you've tasted before, but you'll soon be wondering why no one else does it this way — it's sublime. StreetXO, 15 Old Burlington Street, W1S 2JR. Located in London's museum belt, Muriel's Kitchen has a homemade lasagne worth knowing about next time you're planning a day's stomp around the Natural History, V&A and Science Museum. This light, bright café is always bustling with hungry punters and does a roaring trade in hearty beef lasagne of a lunchtime. Rightly so, as this rich, meaty dish is enough to power anyone through an entire day's sightseeing. The portions are huge, the zingy side salad is a welcome accompaniment, and you're likely to see at least half the clientele enjoying precisely the same dish. Muriel's Kitchen, 1-3 Pelham Street, SW7 2ND. 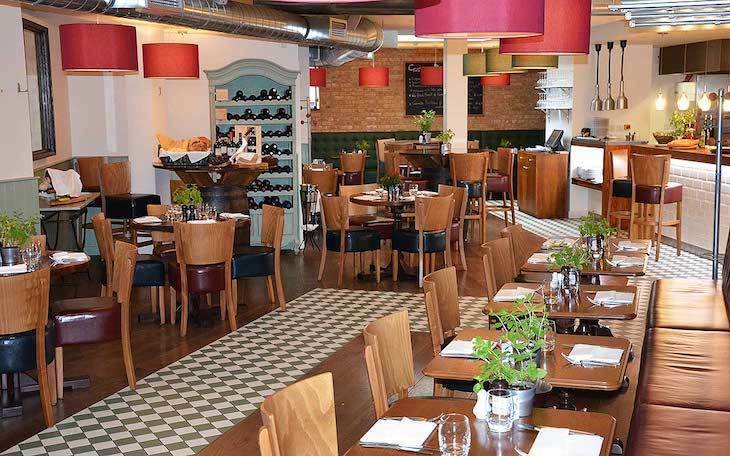 Hospitality abounds at this modern Italian trattoria, tucked away around the corner from Westminster Cathedral. The warm, open welcome extends to the open-plan kitchen, which sits at the side of the restaurant and is available for all to peer into. It's a nice touch, and the smells emanating from it are sure to whet your appetite for the knockout beef lasagne. The focus at Gustoso is on authentic, homemade Italian food, and the lasagne is a masterclass in how the dish should be done. Gustoso Ristorante & Enoteca, 35 Willow Place, SW1P 1JH. Another spot offering true Italian hospitality is Bizzarro. Just a few minutes' walk from Paddington station, it's a far cry from the many uninspiring chains that abound in this area. Eschew that stale sandwich and pick up a mighty fine lasagne portion here instead. They have both meat and veggie options so no-one need miss out, and once that steaming dish of layered loveliness arrives at your table, you'll likely be bookmarking this spot for next time. They go heavy on the tomato here, so if you favour a rich lasagne, this will be right up your street. Bizzarro, 18-22 Craven Road, W2 3PX. On the hunt for 'karma free' food? Who isn't? A meal at Govinda's will keep your conscience clear as this Hare Krishna-run, canteen-style restaurant follows a sattvic diet. This means all the dishes are meat-free, freshly made every day, and even blessed before being served. 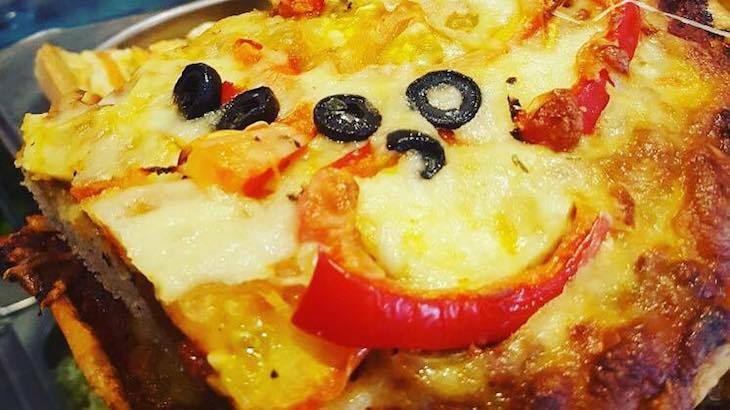 Taste the love in their vegetable lasagne portion, which is an absolute steal at just £4.95 and packed full of all manner of veggies (the exact combination changes daily). We think a little more seasoning wouldn't go amiss, but at 30 years old and one of London's first vegetarian restaurants, we'll defer to their superior judgement. Govinda's, 9-10 Soho Street, W1D 3DL. Love London transport as much as you love lasagne? Then you're sure to love Just F.a.B. in Hackney, which sells vegan Italian treats straight out of a converted double decker London bus. It's a true family endeavour with mother and son team — Fabio and Myra — at the helm. Take your vegan lasagne and devour it on the top deck of the bus, now kitted out into a dining space but with oodles of original features still in place. There's outdoor dining too for when the weather is being kind. Note: as of November 2018, Just F.a.B. 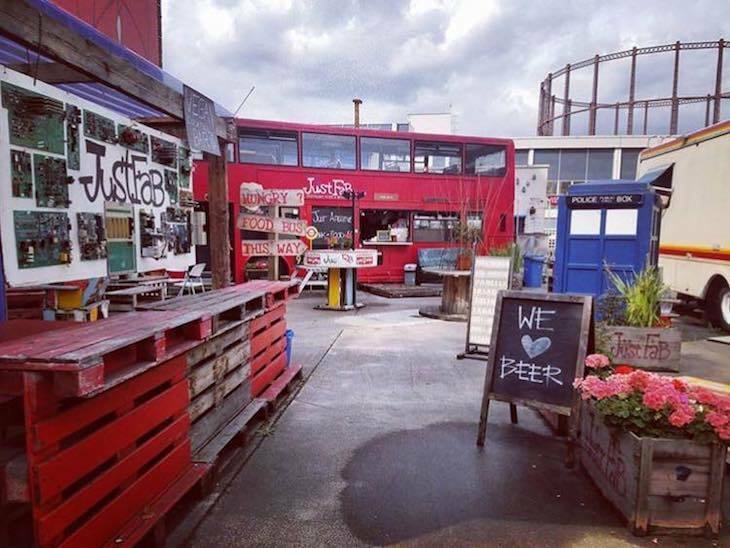 is currently looking for a new home for the bus in London. Keep your eyes peeled on their website for more information on the move. Just F.a.B., 455 Hackney Road, E2 9DY. 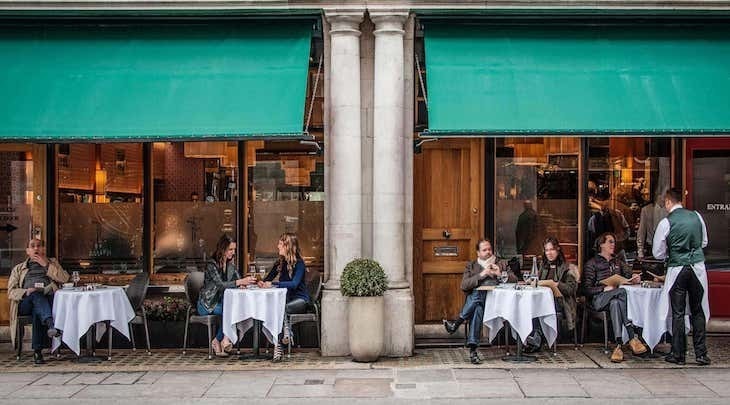 Franco's, situated a stone's throw from Green Park and nestled on a road just behind The Ritz and Fortnum & Mason, is one slick outfit. 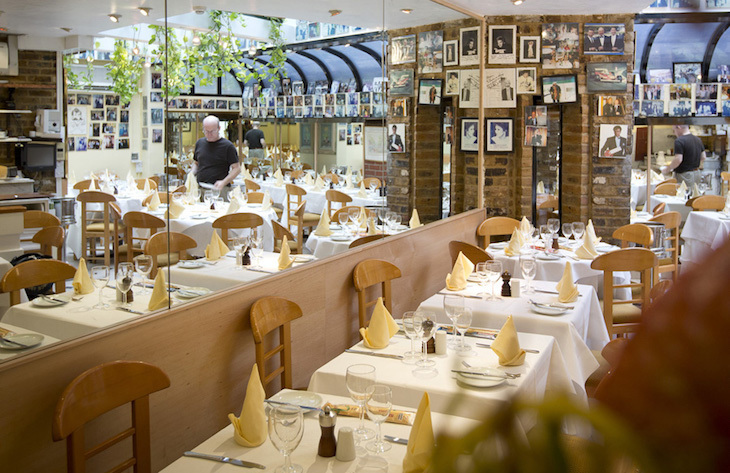 This is high-class, bonafide Italian cooking in one of the most glamorous areas of London. As you might expect from the locale, the service is impeccable but it's certainly not a case of style over substance. The welcome is as heartfelt as the food, with their classic lasagna leading the pack in terms of downright yumminess. The price reflects the area, but that doesn't seem to put anyone off — this joint is reliably packed out every single night. Franco's, 61 Jermyn Street, SW1Y 6LX. Entering Princi is a bit like entering a world where all of your carb dreams can (and will) come true. It's a feast for the eyes before anything even gets remotely near your stomach, with an assortment of baked breads, pizzas and pastas stretching out over the counter tops. It can be difficult to pick a favourite at this half-restaurant half-canteen, but the lasagne is always a fine choice. Note: this place gets absolutely jam-packed of a lunchtime and the lasagne is a firm favourite, so rock up early or you may miss out. Princi, 135 Wardour Street, W1F 0UT. White tablecloths? Check. Chequered floors? Check. Photos of celebrity customers adorning every wall? Check. It seems we're not the only ones to flock to Scalini for a taste of their drool-worthy lasagne. This restaurant has all the hallmarks of a quintessential Italian trattoria, complete with owners who make a point to visit the tables and check their fare is going down a storm. And it certainly does, especially the lasagne which is superbly rich and gooey, perfected after 30 years in this exact spot. Delizioso! Scalini, 1-3 Walton Street, SW3 2JD.